You can use features like templates and reactions to focus discussions with your project's users and collaborators. You can show your support or dissent for an idea in an issue or pull request. When you add a reaction to a comment or the body of an issue or pull request, people subscribed to the conversation won't receive a notification. You can sort issues and pull requests based on the most used reaction. 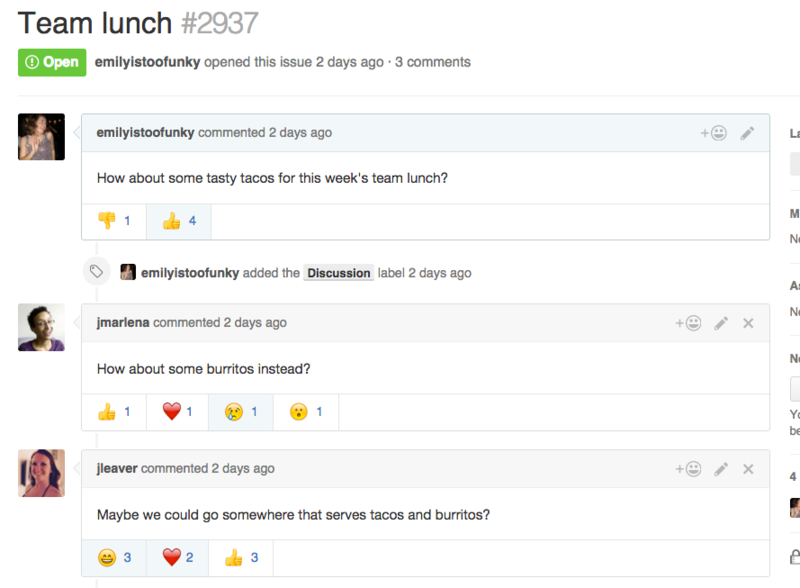 Sorting by reaction can help repository maintainers prioritize issues and pull requests. "Creating an issue template for your repository"
"Creating a pull request template for your repository"